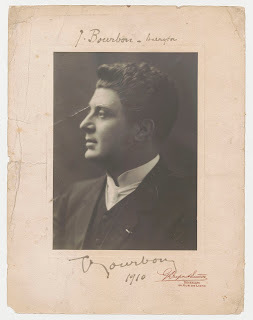 He studied singing at the Conservatoire National de Paris under Lhérie and Melchissèdec and made his debut 1901 at the Paris Opéra-Comique as Richard in the premiere of ‘’L'Ouragan’’ by Alfred Bruneau. In 1902 he appeared there also in the premiere of ‘’La Carmélite’’ by R. Hahn. Since 1904 he was a solist of the Théâtre de la Monnaie in Brussels, where he had a huge success till 1910. 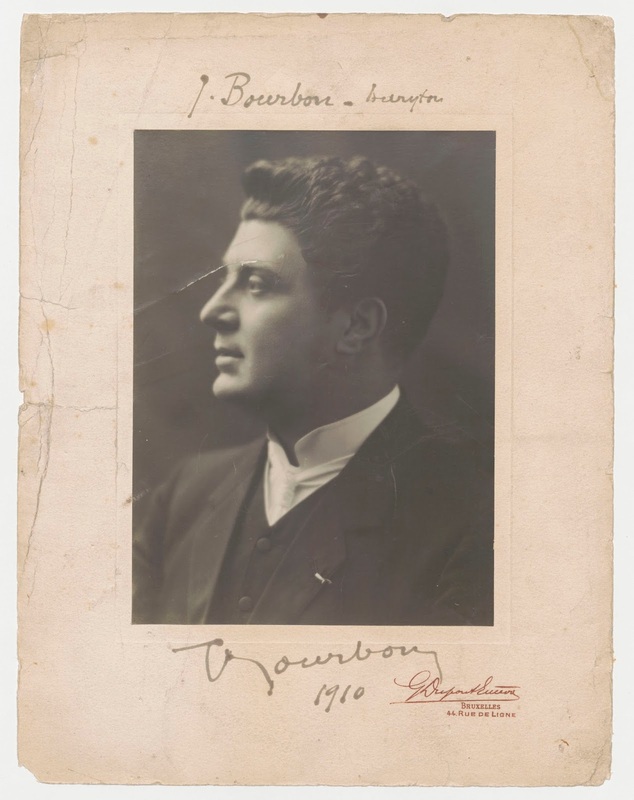 He made appearances in the Brussels premières of the operas ‘’Le Jongleur de Notre Dame’’ (1904), ‘’Pelléas et Mélisande’’ of Debussy (1907, as Golo), ‘’Le Chemineau’’ of Xavier Leroux (1908) and ‘’Monna Vanna’’ by Henri Février (1909, as Guido Colonna). On 22. 11. 1919 he participated in the premiere of the opera ‘’Taras Bulba’’of Marcel Samuel-Rousseau (Théâtre Lyrique de Vaudeville, Paris). In 1912 he appeared at La Scala as Ramon in the opera ’’La Habanera’’ of R. Laparra. He achieved great success also during of guest performances at the Covent Garden in London: In 1909 as Golo in the English première of ‘’Pelléas et Mélisande’’ and as Valentin in C. Gounod’s ‘’Faust’’. In 1910 he sang also in the première of the opera ‘’La Habanéra’’ by Raoul Laparra. At the Opéra de Monte-Carlo he performed as Figaro in ‘’Il Barbiere di Siviglia’’, Escamillo in ‘’Carmen’’, Hérode in ‘’Hérodiade’’ , Wolfram in ‘’Tannhäuser’’. On 4. 3. 1913 he sang there in the premiere of the opera ‘’Pénélope’’ of Gabriel Fauré as Eumée. On 21. 3. 1914 he appeared in the premiere of Messager’s ‘’Béatrice’’. In 1911 he participated in the première of the opera ‘’Ivan le Terrible’’ of Raoul Gunsbourg (Théâtre Lyrique de la Gaîté, Paris). In 1914 he sang at the Paris Grand Opéra the part of Guido in ‘’Monna Vanna’’ and also performed in ‘’Les Burgraves’’of Léo Sachs. In 1921 he appeared in Rio de Janeiro as Clavaroche in ‘’Fortunio’’ of A. Messager. In 1929 he was a member of the cast in Strasbourg in performances of the Nibelungenrings (as Alberich). By the end of his career he was active in Southern French operatic stages.